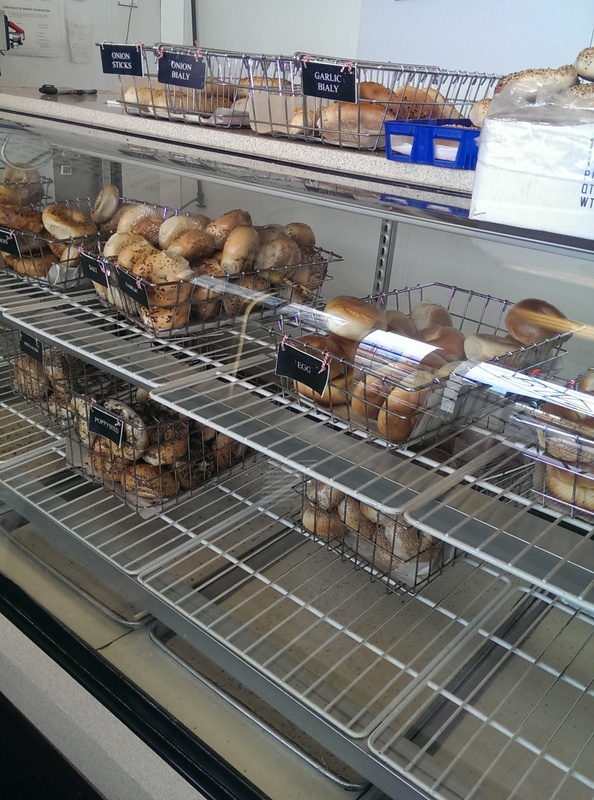 Bialy’s Bagels is a little circle of NYC heaven right here in Cleveland. 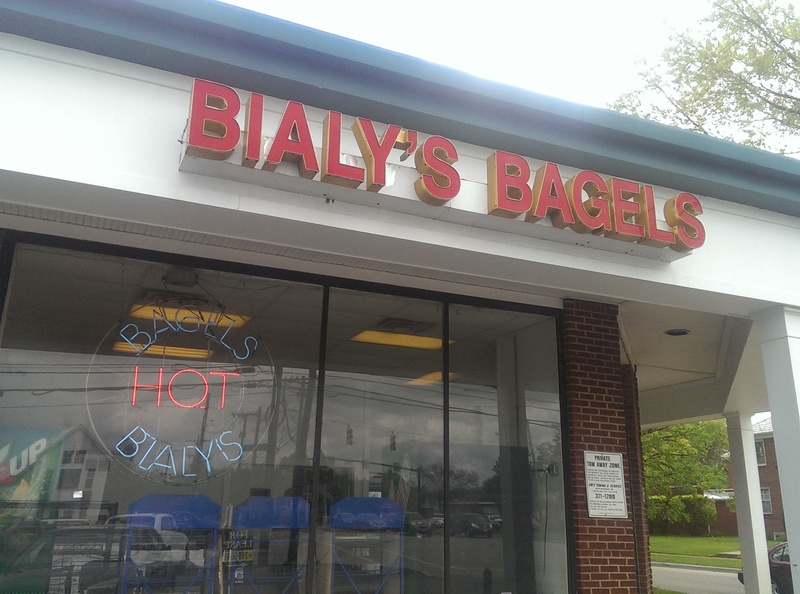 Located in an unassuming strip mall on the corner of Silsby and Warrensville Heights Roads in University Heights, Bialy’s has been pumping out bagels and bialys for over 30 years. It is a grab and go place. 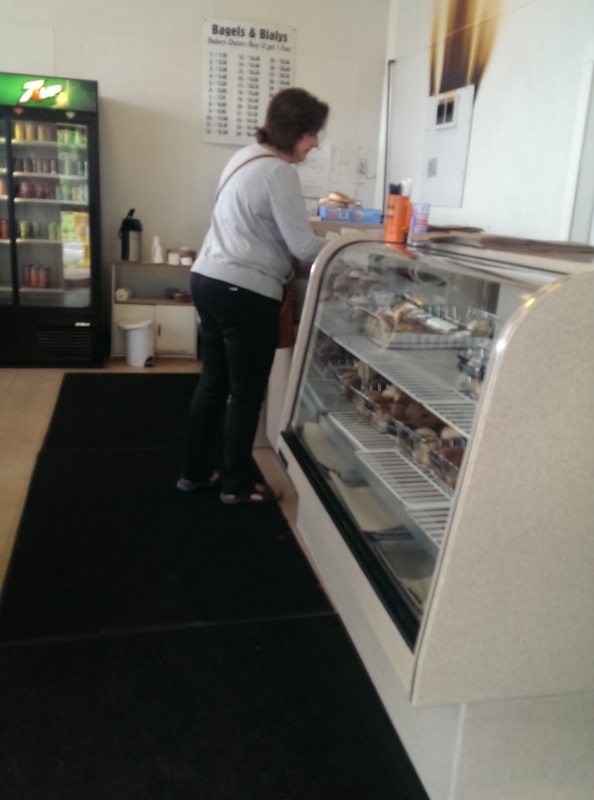 Go in, buy a half dozen or dozen bagels, and head home to stuff your face with carby goodness. There are no tables. There are no cutesy bagel sandwiches. There are no schmears. Just bagels. If you need cream cheese or smoked salmon they have it in coolers, but bring your own knife to assemble it in your car. The bagels are available in a variety of flavors, from plain, egg, poppy seed to Mish Mosh (everything) and everything in between. I think I remember seeing cinnamon and blueberry as well. Obviously the fresher the better, but they just keep making bagels all day so they are fresh no matter what. If you are lucky you’ll catch a batch right as they come out. When that happens they have a warm outer crust with a chewy inside. You won’t be able to not eat one in the car. Even when they are warm the bagels are nice and chewy – just as a bagel should be. There is some debate as to whether a bagel should be toasted. New Yorkers say only bad bagels should be toasted. These bagels are great untoasted. If you are wondering what the difference between a bialy and a bagel is, bialys are round with a depressed middle filled with cooked onions and sometimes poppy seeds and then baked. 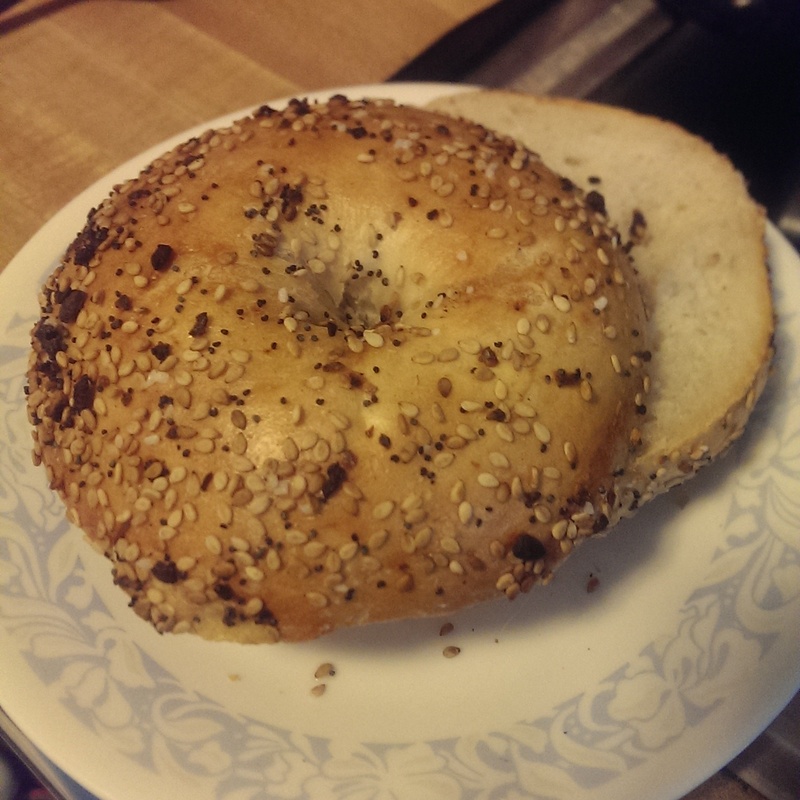 The outside of a bialy is therefore matte, not shiny. Bagels are boiled, then baked. The bialys are only available in onion, garlic, and mish mosh flavors. They also sell longer salt sticks, but I usually stick with my mish mosh and sesame seed bagels. Also, please note that they don’t take credit cards, so be sure to bring cash with you. That said, your order won’t break the bank. Plan on about $1 a bagel.